With performances conveying “spiritedness and humor”, “unflagging precision and energy”, “eloquence and passion” (The New York Times) and playing described as “something magical” (The Boston Globe), “compellingly musical” (The New York Times) and “thoroughly lyrical…expert” (The Philadelphia Inquirer), Benjamin Fingland interprets a diverse range of clarinet literature. A proponent of the music of our time, he works closely with living composers. In addition to being a founding member of the critically-acclaimed new music collective counter)induction, he plays with many of the leading contemporary performance ensembles on the East Coast: the International Contemporary Ensemble, American Modern Ensemble, the New York New Music Ensemble, Nunc Music, the Network for New Music, Ensemble 21, the Argento Ensemble, the Locrian Chamber Players, and Sequitur. He has performed worldwide as a recitalist and soloist, and has also collaborated, recorded, and toured with a wide variety of other artists – ranging in scope from Pierre Boulez and the Ensemble Intercontemporain to jazz legend Ornette Coleman and pop icon Elton John. With playing that is “fierce and lyrical” and works that are “other-worldly” (The Strad), Jessica Meyer is a versatile composer and violist whose passionate musicianship radiates accessibility, generosity, and clarity. As a soloist, Jessica has premiered pieces for solo viola around the country, and is committed to expanding the repertoire for viola by commissioning new works while also composing her own. A dedicated advocate of new music, Ms. Meyer is the co-founder of the award-winning and critically-acclaimed contemporary music collective counter)induction. Equally at home with many other styles of music, Jessica can regularly be seen performing on Baroque viola, improvising with jazz musicians, or collaborating with other performer/composers. Ms. Meyer’s compositions explore the wide palette of expressive colors available to each instrument while using traditional and extended techniques inspired by her varied experiences as a contemporary and period instrumentalist. In August 2014, she was featured on Q2′s marathon of Emerging Women Composers, and recent premieres included performances from SubCulture NYC, to the Andy Warhol Museum in Pittsburgh, and across the pond at Sunset Sunside in Paris. Her current solo show and “intriguingly vivid” debut solo CD, Sounds of Being, is a surround-sound sensory experience of her own compositions for viola and loop pedal where she turns her viola into an orchestra to take the audience on a journey filled with joy, anxiety, closeness, anger, bliss, torment, loneliness, and passion. Upcoming commissions include works for The Momenta Quartet and soprano Melissa Wimbish for her Carnegie Hall debut. 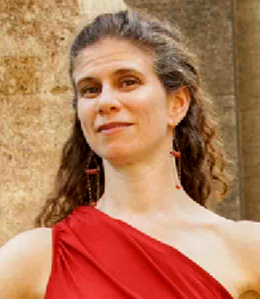 Composer/pianist Amanda Harberg’s recent commissions include works for the Philadelphia Orchestra’s Sound All Around Series, the Grand Rapids Symphony, the New Jersey Youth Symphony and the Albany Symphony’s Dogs of Desire. Her works have also been performed by the National Symphony of Ecuador, the Thuringer Symphoniker, the American Modern Ensemble, the Bay Atlantic Symphony, the Harmonium Choral Society, and more. 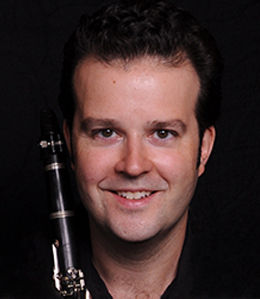 Harberg’s awards include a 2014 NJ State Council on the Arts fellowship, a Fulbright/Hays Fellowship, two Meet the Composer Creative Connections grants, the NY Youth Symphony’s First Music Award, a NY State Council on the Arts fellowship, and Juilliard’s Peter Menin Prize for outstanding accomplishment. A dedicated teacher, Harberg currently teaches at Rocky Ridge Music Center and the ASTA Chamber Music Institute, as well as maintaining an active private teaching studio. 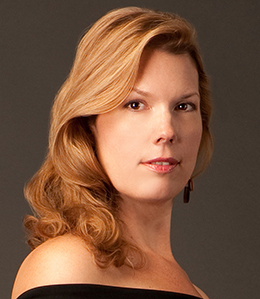 Harberg received her BM and MM from the Juilliard School, and her music is published by the Theodore Presser Company. Harberg lives with her family in Glen Ridge NJ, where she is director of the Music in Montclair series.